Our premier large event space, the Banquet Room is both elegantly expansive and vibrantly designed, and can host up to 350 guests for dinner and entertainment. 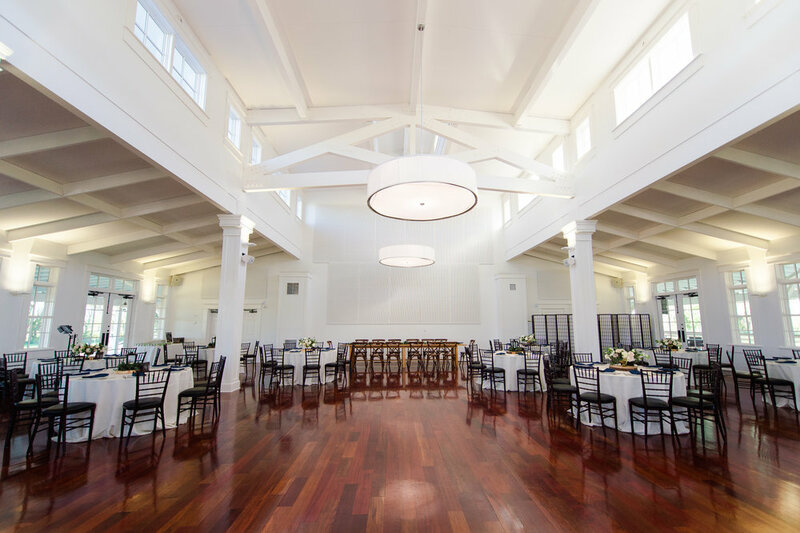 Its high ceilings, red oak floors, heavenly-white interior and hanging light fixtures provides the ideal palate for event design. You and your guests will also have access to the back porch overlooking the river, accessible through two glass-paned double doors, which spills down southern-inn style steps to the large patio.